During the summer and fall months, we spend a lot of time on the go. In the summer, it's generally the beach, the pool, and road trips that keep us in the car. In the fall, it's sporting events, school activities, and an occasional weekend away that keep us out and about. With all the time spent in the car, it's helpful to have a stash of snacks and beverages at the ready to keep the kids energized. I don't know about you, but the the thought of constantly filling up a cooler with ice and ice packs fills me with dread. I want a simple, mess-free solution for keeping drinks cold and food fresh. PackIt insulated cooler bags are the perfect solution. 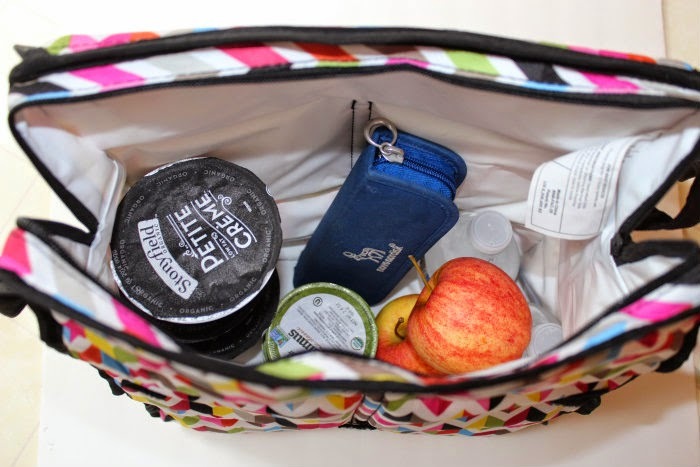 PackIt bags are easy to use and are mess-free. They are perfect for families and children. 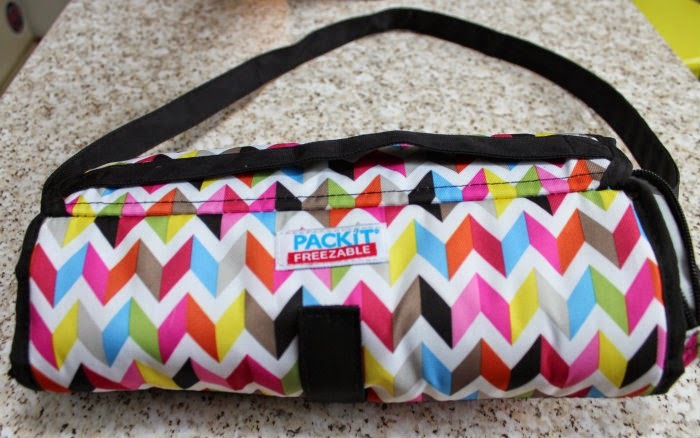 My first experience with PackIt came a few years ago when my youngest daughter wanted a PackIt lunch bag for school. I thought it was a brilliant idea. No more ice packs. No more worrying about whether or not her perishables would stay cool. PackIt bags have built-in insulated gel-lined walls. Simply place the bag in the freezer at night and remove it in the morning to pack. 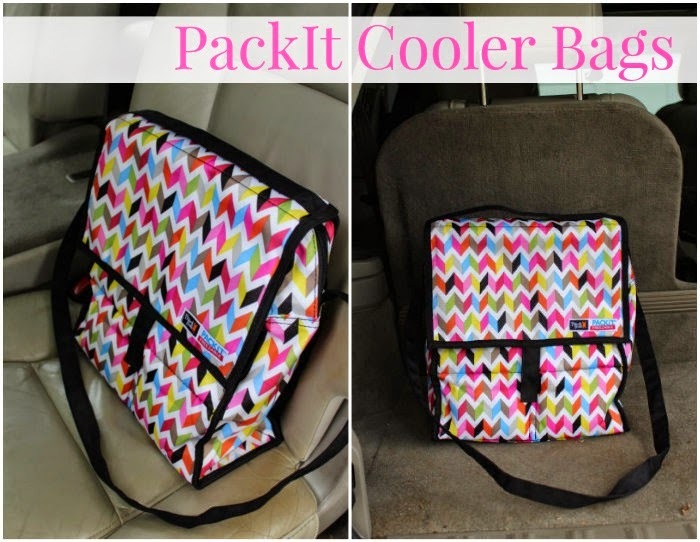 PackIt bags are soft-sided coolers that are lead-free, PVC-free, BPA-free and are non-toxic and food safe. PackIt bags are available in a variety of fun, fashion-forward colors and designs. 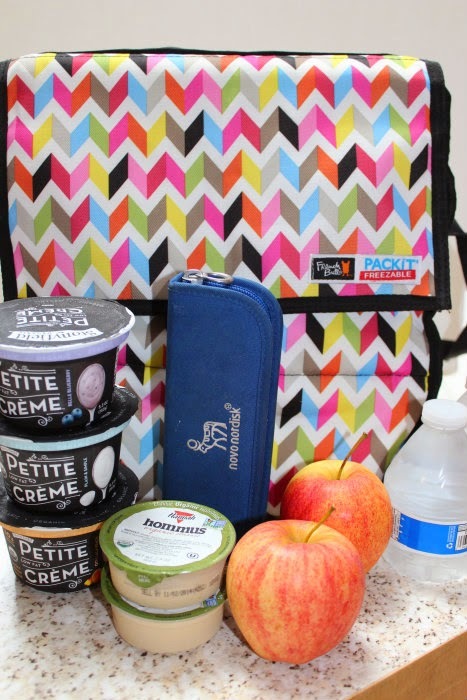 We received a PackIt picnic tote in the summer, and it turned out to be a true life saver. We took it to the beach, to the pool, to the park, and used it in the car for long car trips. It was especially helpful for storing my daughter's insulin pens while we were out and about, since insulin needs to be kept cool. PackIt bags retain their cooling power for up to 10 hours. They feature an easy to clean interior and zip closures to lock in cold air. So, for us, they are perfect for yogurt, hummus, apples, water, and of course, insulin pens. The picnic tote offers plenty of storage room for everything you need for a day out or a long trip in the car. It folds up easily to fit in your freezer. Unfold, shake, and fill! PackIt bags are perfect for the upcoming holiday season. Fill it and keep it close by in the car so the kids and you can reach for a drink or snack quickly and easily. We will be heading to Hershey, PA for a few days after Christmas, and you can bet this bag will definitely be a part of our trip. They are available in a variety of sizes including a single wine bag, a double wine bag, a grocery bag, a sandwich bag, a salad bag and more! For more information about PackIt, follow along on Facebook, Twitter, Pinterest, and Instagram. Disclosure: I received a complimentary PackIt picnic tote to facilitate this review. All opinions are my own.